Heal and serve your soul, your community and your world with Art & Yoga. 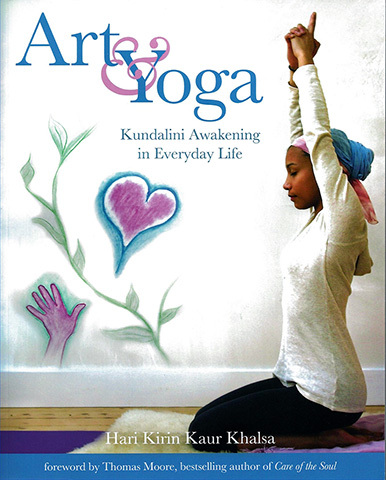 This beautifully illustrated book provides step-by-step instructions to work with art & yoga as complementary practices. Yogis will find creative exercises to deepen their experience, while artists will discover simple, yet profound yoga and meditation to help their creative flow, focus and intuition. Along the way we will draw inspiration from the teachings of Yogi Bhajan, nature, artists of the past, community art and recent developments in healing and spirituality. Unroll your yoga mat, open your sketchbook, and allow your innate creativity to flourish, guided by this irresistible, inspiring book. Internationally renowned artist and yoga teacher Hari Kirin Kaur Khalsa draws on a lifetime's work of hands-on experience in the art studio, and her many years as a student of Yogi Bhajan, to create a fully integrated practice of art and yoga that is accessible to newcomers and seasoned practitioners alike. - Katrina Kenison. 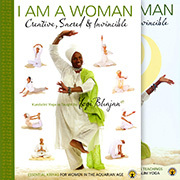 Hari Kirin Kaur Khalsa, a professional artist, has been teaching Kundalini Yoga for twenty-five years, and recently become a KRI Certified Lead Teacher. She teaches at Kripalu Center for Yoga and Health, Schumacher College, the Antrim Girls Shelter, Access Shunia and sliding scale classes at the Union Mill in Peterborough, New Hampshire.